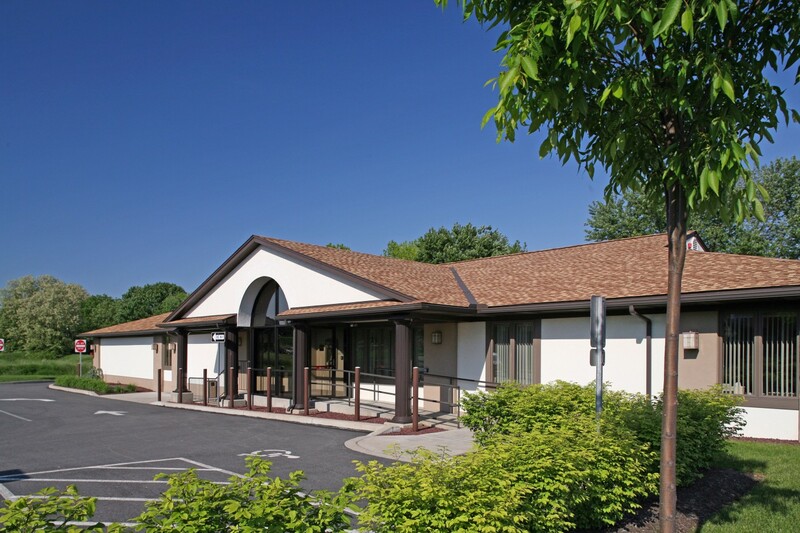 This building was home to a medical practice prior to being acquired as a banking facility. 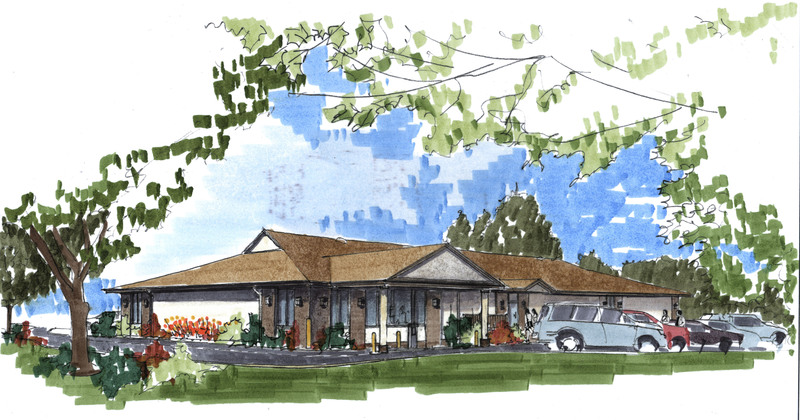 So the challenge was to eliminate the many small patient examination rooms and transform the interior into an open facility, convert the exterior to accommodate drive-up banking, and enhance the connection with the outdoor environment. 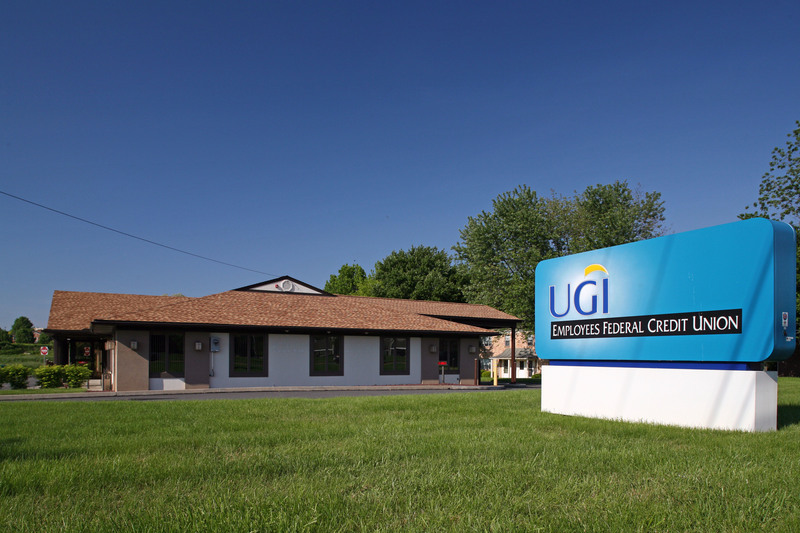 This was the first time this credit union was occupying space they owned, so we began the project by providing an architectural rendering of how the ultimate transformation would look. It showed how the canopy for the drive up window would be added to actually make the building more interesting and create more character in the exterior. This was a tremendous asset for the building committee, and expedited the project. 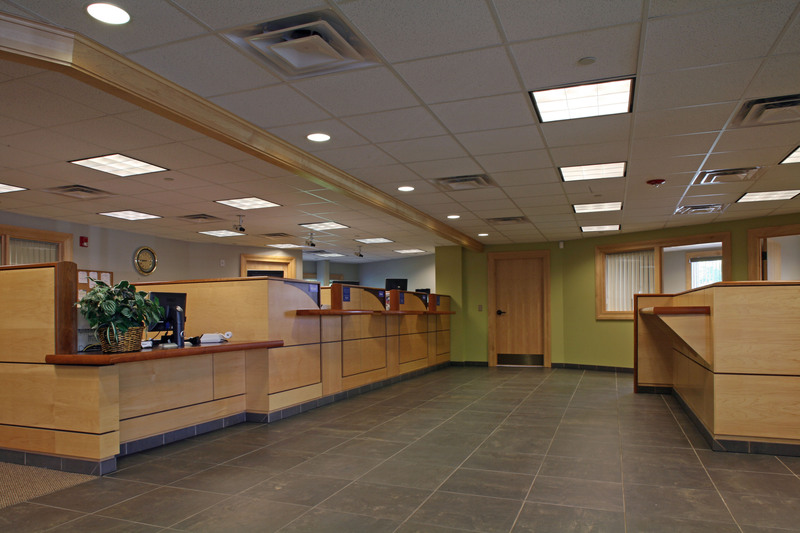 The main customer area is a combination of teller stations and a handicapped access teller desk. Manager offices are in the perimeter, overlooking the lobby through interior windows. A design feature of the light wood cabinetry is that it seems to float as it rests on a base of dark slate on top of a lighter toned slate floor. The chartreuse green walls bring the ambiance of nature into the space. The view from the street is bold and eye catching. The drive up window is easy to access and exit under an integrated roof. The new building provides opportunities for increased awareness and branding, and is a much more convenient destination for the members.